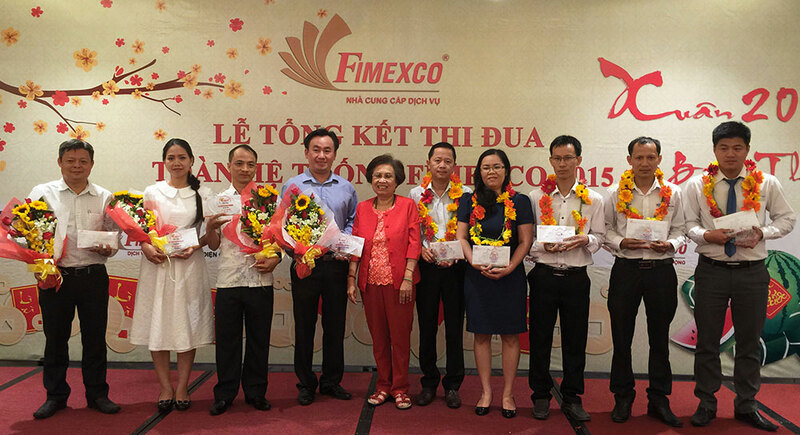 With the warmness and joyfulness of the last days of the lunar year, on January 18th 2016 at Windsor Plaza the meeting of loyalty customers and 2015 year-end summation conference of First District Producing Import Export Trading and Service Joint Stock Company (Fimexco) were held. 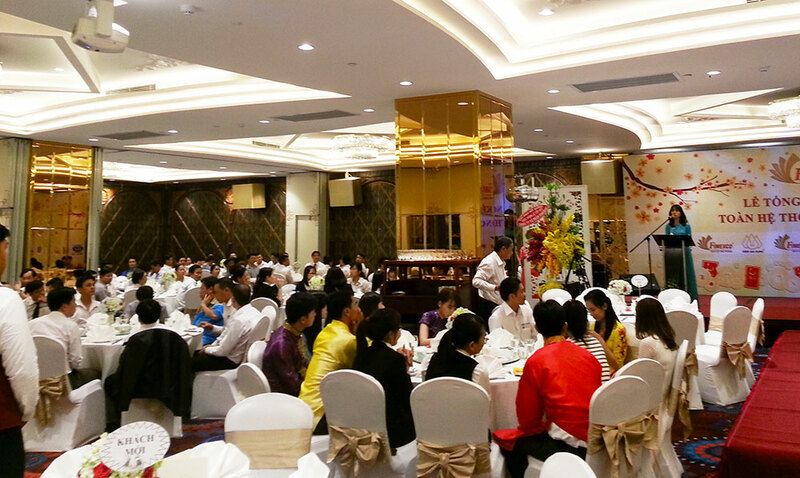 After one year of successful business operation, the Board of Managers, loyalty customers and all the staffs of the company have attended the meeting to welcome the event. 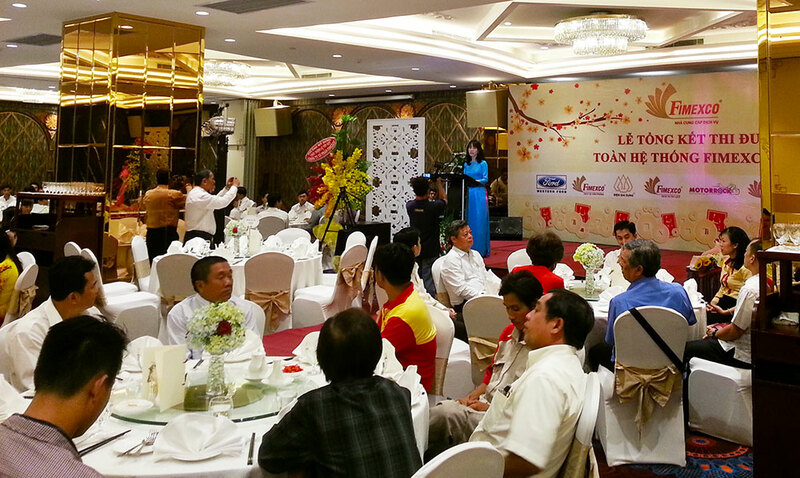 At this year-end conference and party, besides rewarding and appreciating those who performed outstanding achievements last year, the Board of Directors and staff of the company together have reviewed the past one-year with difficulties and opportunities for the development of the company in particular and for the economy in general. For all achievements we have gained until now, there has been so much effort ceaselessly of the Board of Managers as well as all the staffs of the company to strive for the development of the company – Fimexco. 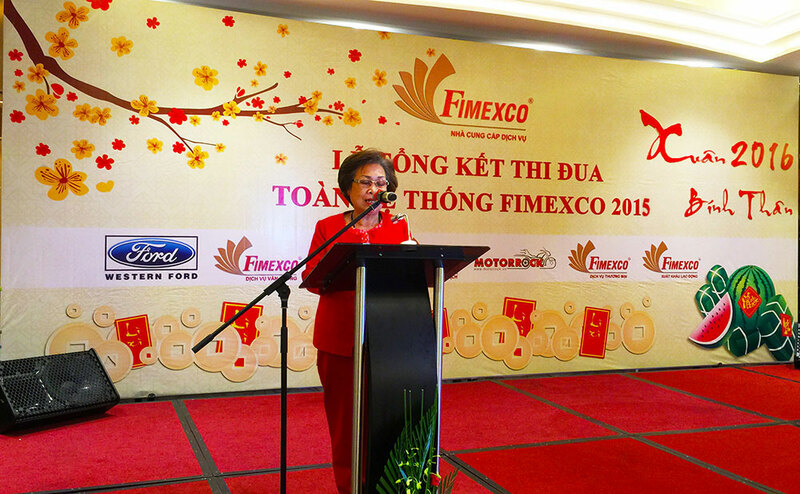 In this warmly and solemn conference, the Board of Managers said new year’s greetings to all of loyalty customers of Fimexco and all the staffs of the company to wish to have a good health, happiness and success. 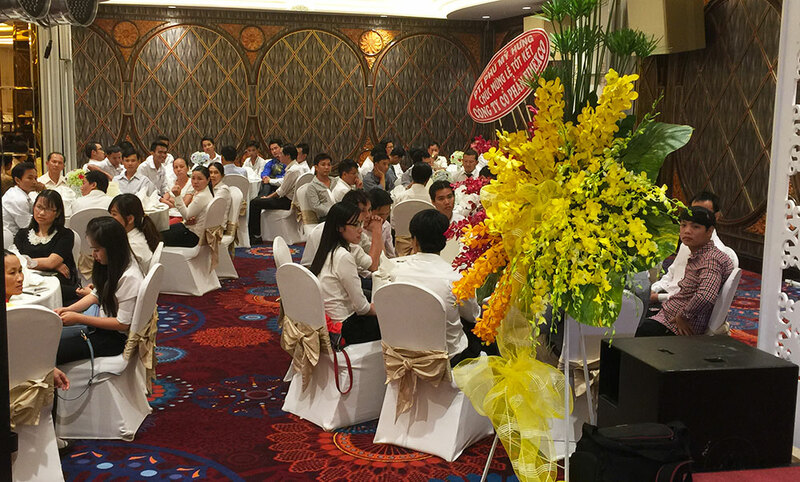 Also, the Board of Managers have encouraged all the staffs to always make effort, solidarity and gradually to help the company become the leading “Services Supplier” in Vietnam. The Board of Managers also said thanks to all the staffs for the enthusiastic contribution, and thanked all customers and partners for their trust to cooperate with Fimexco for years. The party has successfully ended with happiness and joy of the whole company as well as the company partners and customers, and has really brought meaningful values.